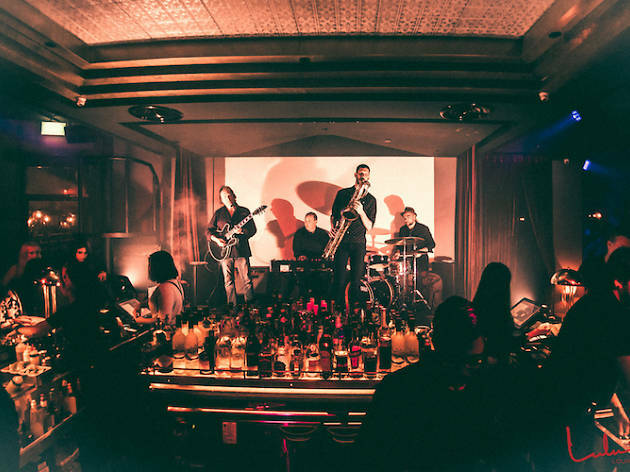 Whether you consider yourself a jazz purist or someone who simply enjoys the sweet of sounds of sax and double bass in the air, these spots in town are your best bet to find live jazz performances. 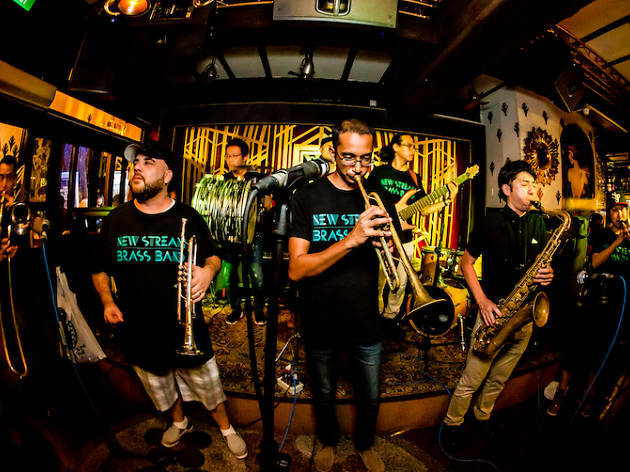 Before Lulu’s Lounge turns into party central after midnight – with high-pulsating DJ sets spewing hip-hop beats from its speakers – the nightclub wedged next to Pan Pacific Singapore starts the evening with some slow-burning jazz jams. Its programme lineup features the seductive neo-vintage outfit The Steve McQueens, soul-funk quartet Trumpet Z and the Boogie and the groovy Tim Stocker with his fellow Pocket Watchers. The best part? There’s no cover charge. It’s hard to miss Blu Jaz Café. Bathing the corner of Bali Lane with its bright blue neon lights, the alfresco joint typically attracts a bustling crowd of young and old with its regular live music sets. 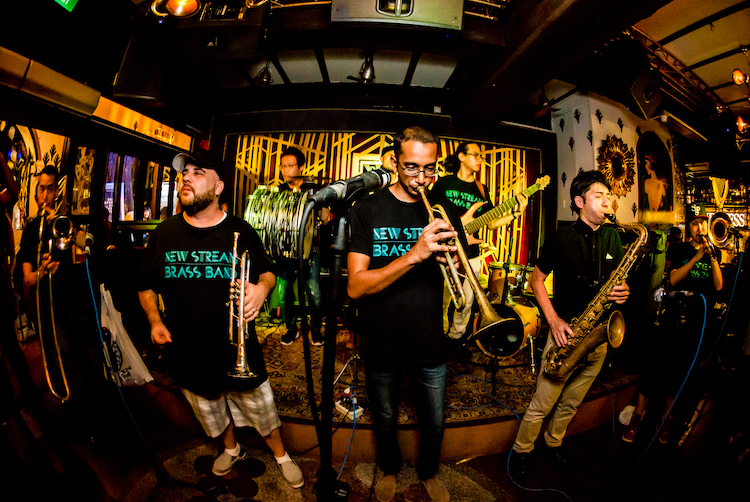 The space hosts a list of household jazz names and impressive young talents on stage including keyboardist Aya Sekine and saxophonist Nicole Duffell. Be sure to keep tabs on its socials for updates on its music programmes. For live jazz music set against the stunning backdrop of our city skyline, Monti is the destination for a musical romantic escapade. 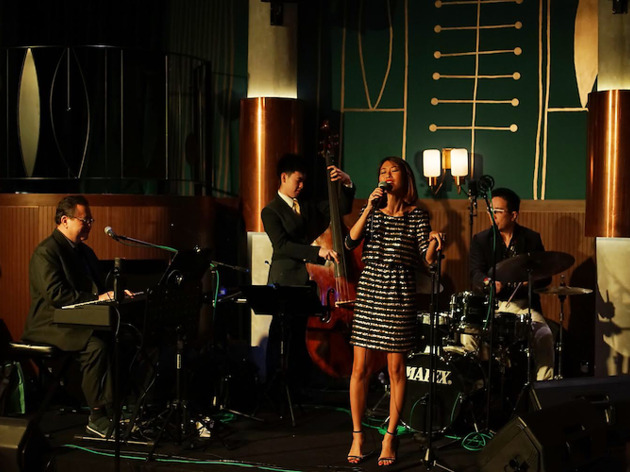 Every night from 7.30pm, let the restaurant’s resident jazz band carry you through the night with soothing blues and funk as you dig into hearty plates of Italian dishes. 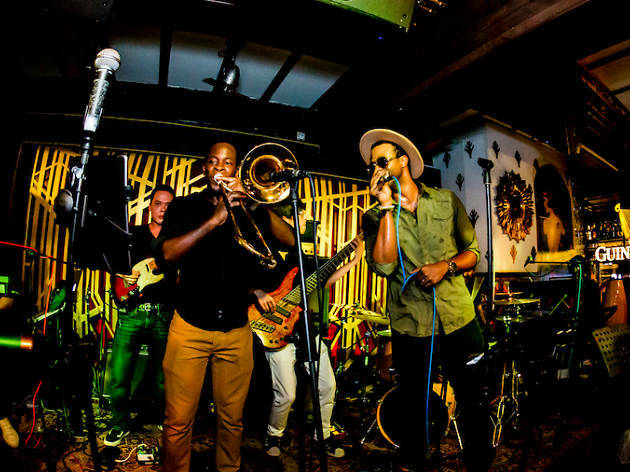 The lineup changes monthly with regular appearances by jazz stalwarts Jeremy Monteiro and Stephan Francis. 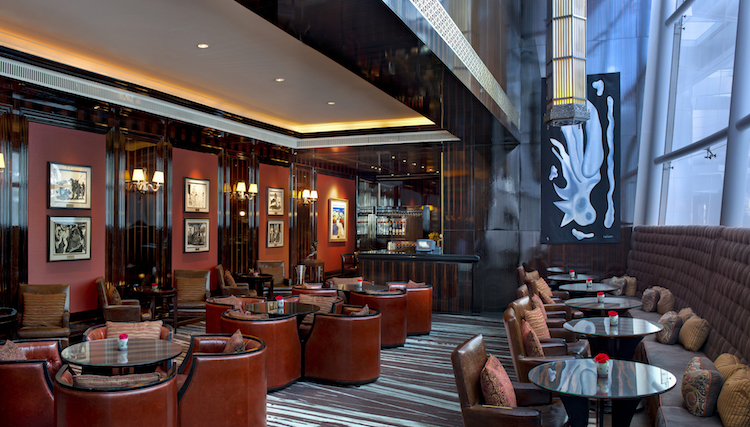 Whisky and caviar aside, this luxe lounge at the St Regis Singapore also does its jazz nights right. 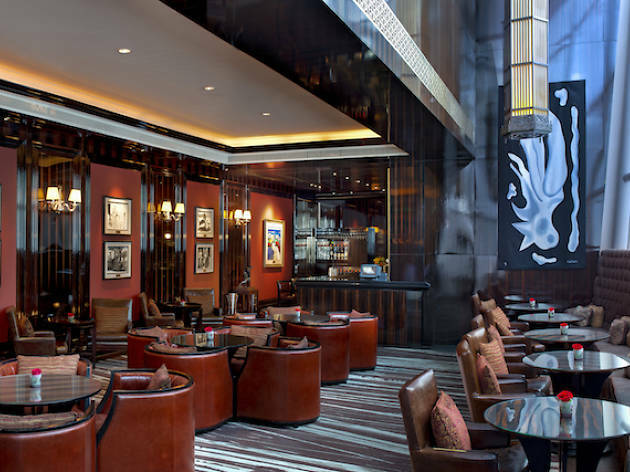 With its walls painted deep red and plush leather seats to match, Astor Bar is the closest thing you’ll get to a New York jazz club here in Singapore. Every day from 6pm ’til late, rhythm and blues extraordinaire Ron Sinclair enchants guests with his soulful crooning and bewitching piano skills. 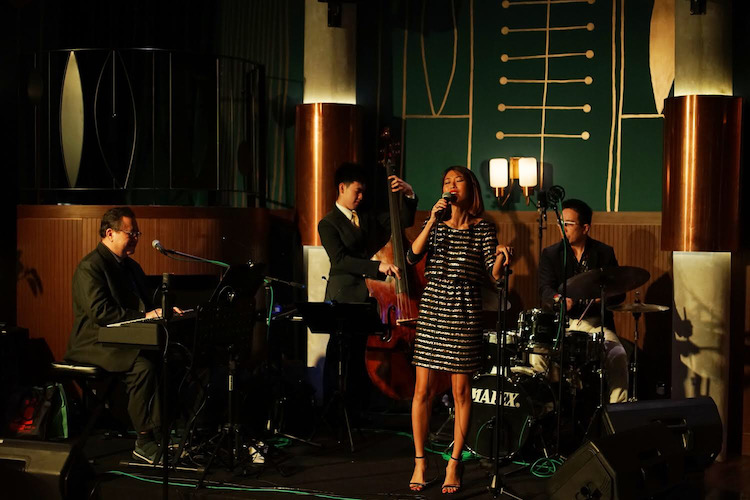 Be serenaded by some of the hottest up-and-coming jazz acts in Singapore as you indulge at this Japanese-French restaurant. 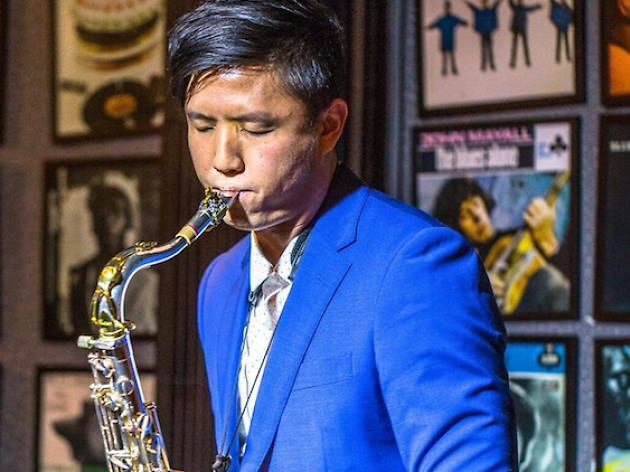 Held twice a month on selected dates, Lewin Terrace’s Jazz Immersion nights have seen the likes of Carol Gomez, Daniel Chia and Miss Lou amongst others on its roster. 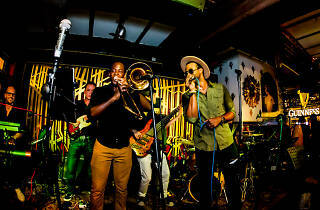 So expect a vast number of modern jazz performances that see musicians give their own spin on the genre. 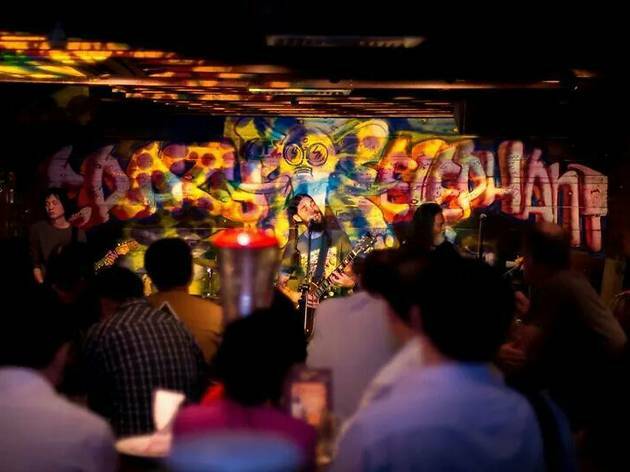 Whether you’re singin’ the blues or cruising for some bruising rock ’n’ roll, check out these music bars in town for a dose of live music.